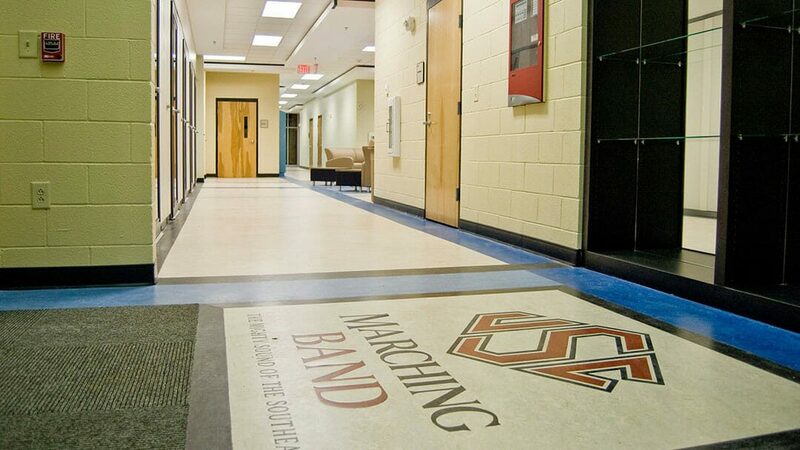 The program for this 34,000 square-foot facility poses an interesting challenge, at once providing a much-needed improvement to the practice facilities currently used by the 250-member marching band, while also creating a new identity for the newly accredited dance program at the University. On a formerly neglected and oddly-shaped site wedged between two railroads, an elevated pedestrian walkway, and a small, utilitarian fabrication shop for the School of Engineering, the building attempts to become as narrow as possible in order to allow for the adjacent 110-yard long practice field and other related site access elements. The dual-level plan provides for an independent entry for dance on the lower level, and for band on the upper. The main level building plan is organized around a series of large practice areas and dance studios along the field side to the north, flanked by smaller offices and support spaces to the south. 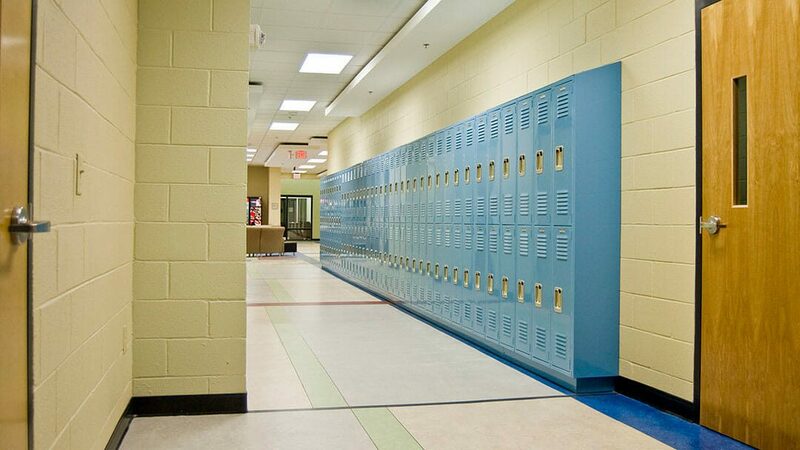 Acoustical separation and program autonomy are the major organizing factors, resulting in a simple yet highly efficient organizational building scheme in both plan and section.